Toruń International Puppets Theatres' Festival "Meetings"
One of the largest international events held in Toruń. Each year, our city is visited by several theatres from all over Europe coming here to present performances, whose main element is the animation. Contrary to stereotypes prevailing in Poland, it is not a festival addressed solely to children. During a week, performances for the youngest spectators are held in the mornings and for adults - in the evenings. The competing performances are evaluated by two juries: children and professionals. Each of the bodies grants its own award. The festival is an opportunity to observe how the puppet theatre has changed over the recent years and how different the animated elements may be: from the classic puppets through characters made of various materials (fabrics, sponges and even bicycle tubes) up to the multimedia presentations. 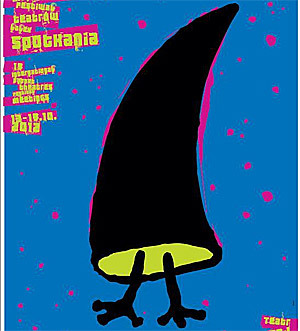 For several years, the festival is accompanied with the Review of Theatrical Works of Disabled People and also by performances of students of theatre schools, as well as the Action Animation Presentation (Akcja Animacja Prezentacja) - students’ presentations of animation and video art. Organiser of the festival is the Baj Pomorski Theatre.